Click on the images for a larger view. Perfect Tail Wallets have two rows of perfect Tail Scales running down the front of the wallet in a V pattern. 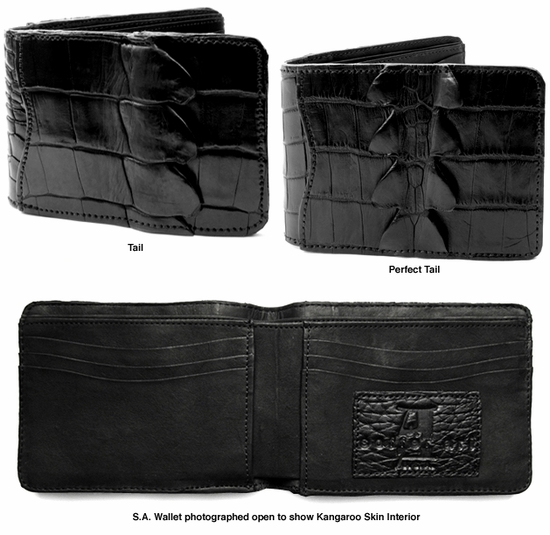 Perfect Tail wallets are more expensive because we can make a limited amount from each skin. 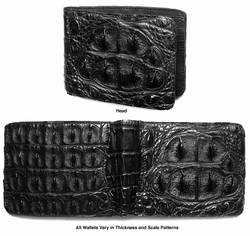 S.A. Crocodile wallets measure 4.25" wide X 3" in height across the front when the wallet is closed. Handmade in the U.S.A. with real Crocodile and Kangaroo Skins. 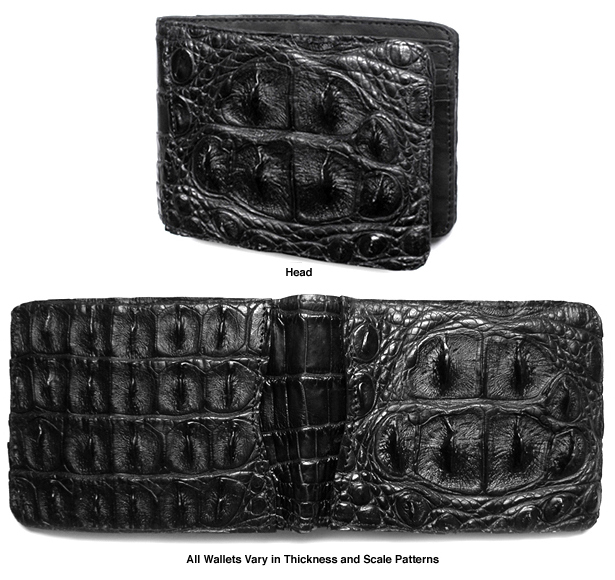 To view a video of our Crocodile Wallet, please click on the link below.